This is a awesome collection of close up pictures of a captured German tank Pz.Kpfw. 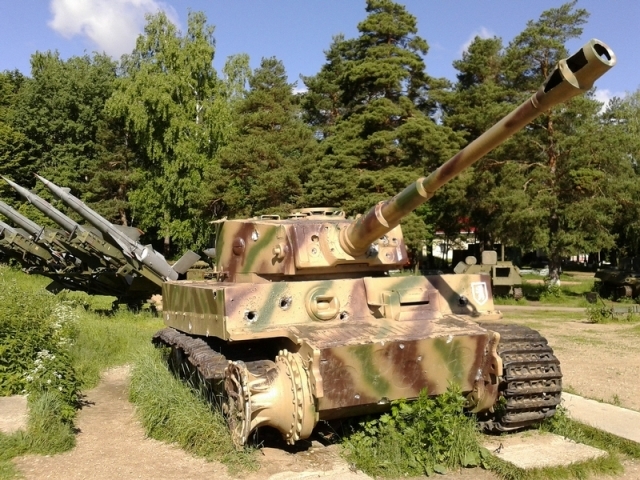 Vl Ausf.H "Tiger I" displayed at Lenino-Snegiri Military Historical Museum in the Russian territory. The chassis number is 250427. It presumably belonged to 424 th Heavy Tank Battalion and was captured during the retreat of the Battalion in January 1945. Now the tank paint and marking the 505 th Heavy Tank Battalion. During WWII, German Tiger tanks were primarily organized into special schwere Panzer Abteilung (roughly "heavy tank battalions"). Ten Wehrmacht and three Waffen-SS schwere Panzer Abteilung were formed. The s.Pz.Abt. 501 (later redesignated s.Pz.Abt. 424) was formed in May 1942. 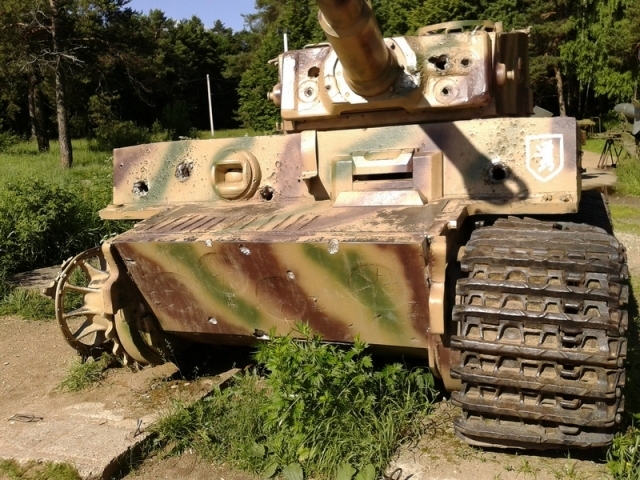 It was sent to North Africa with Tiger I and Panzer III tanks in late 1942 and early 1943 and surrendered with the German defeat in Tunisia. Later, it was reformed and it was sent to Eastern Front in November 1943. It was largely destroyed in Russian offensive in summer 1944. It was reformed again and was issued with Tiger II. It returned to Eastern Front. It was redesignated as s.Pz.Abt. 424, and after heavy losses it was disbanded in early 1945. This war museum is dedicated to the Russian 16th Army, which defended Moscow during the battle of Moscow (1941-1942). Attached to the museum building is an open air exhibit with tanks and armoured vehicles. Here you can watch this powerfull German tank, as trace of war.